Whether you wear makeup everyday, only break out the eyeliner on special occasions, or need an eye-catching festival look - you’re in the right place. 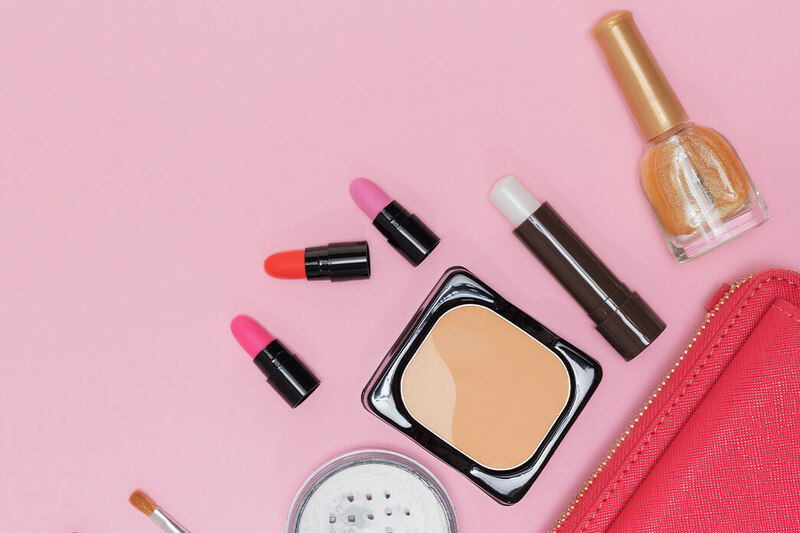 At Promocodes.com, you’ll find exclusive sales and discounts for all of your favorite cosmetics brands including big names such as Stila, Ulta beauty, Bobbi Brown, Tarte Cosmetics, Too Faced, Smashbox, Estee Lauder, Lancome, Sephora and more. Makeup can quickly get expensive but our coupon codes and coupons will help you look on fleek without overspending. Works sitewide. Redeem this coupon code to get 20% off all orders at Too Faced. Reveal this promo code to enjoy free shipping on orders of $20+ at elf Cosmetics. Works sitewide. Get 15% off any order when you copy this promo code at Milk Makeup. Works sitewide. Get 10% off all orders when you enter this promo code. Activate savings on your make-up orders. Works sitewide. Apply this coupon code to get 15% off all orders. Create your perfect shade for any occasion! Works sitewide. Get 30% off any order when you paste this promo code at Sigma Beauty. Works sitewide. Enter this coupon code to get 15% off all orders at WINKY LUX. Works sitewide. Enter this code to get 10% off your purchases. Activate savings on your personal care items orders. Reveal this coupon code to get 25% off Monthly Plan. Works sitewide. Promocodes Exclusive: Reveal this coupon code to get 15% off sitewide, plus get free shipping on orders $35 or more at Luscious Cosmetics. Find the latest deals on Cosmetics. Get Gift Sets from $25 at Eyeko. Fall in love with your lashes thanks to your mascara. Works sitewide. Get 35% off on any order when you enter this coupon code at Laura Geller. Includes free shipping. Get up to 80% off Sale Items + Free Shipping on $40 or more when you use this coupon. Get a Free Bunny or Carrot makeup sponge w/ orders over $30 when you click this promo at wet n wild. Works sitewide. Get 50% off First Month Subscription when you enter this coupon code at SCENTBOX. Works sitewide. Get 10% off any order when you enter this promo. Activate savings on your cosmetic orders. Works sitewide. Use this code to get 30% off your purchases. Works sitewide. Activate this coupon to take 10% off your next order with sign up at Kevyn Aucoin Beauty. Be the first to know about news and promotions! Works sitewide. Get 15% off your first purchase when you apply this coupon code. Redeem this coupon to get Free Shipping on your order over $60 at Beauty Encounter. Receive 15% off First purchase when you enter the email. Works sitewide. Redeem this coupon code to get 20% off your entire purchase of $80+ at As We Change. Works sitewide. Get 15% off your site wide purchases when you enter this promo code. Explore Grande Cosmetics' powerful serums & double-duty makeup products today! Works sitewide. Get 20% off all orders with this coupon code. Works sitewide. Enter this promo code to get 15% off orders $65 or more. Make everything your own with custom beauty products at Cover FX. Get Palmat 2-in-1 Brush Cleaning Tool just $9.95 when you use this coupon. Works sitewide. Copy this promo code to get $10 off your purchase of $40 or more at Black Opal Beauty. Check out the latest deals on Skin Care, Makeup and alll cosmetic products now! Get Free Mini .25oz Base Smooth & Matte Primer with any $50 purchase when you apply this promo code at TEMPTU. Get Up to 35% off Bath & Body Fragrances when you use this promo. Redeem this coupon to get up to 40% off Makeup & Vegan. Works sitewide. Apply this promo code to enjoy 20% Off + Free Shipping on all orders + Free cosmetic bag with $65+ orders ($16 value). Works sitewide. Reveal this promo code to get 25% off your orders of $100 or more + Free Shipping at purcosmetics.com. Works sitewide. Get 15% off all orders when you copy this promo code. Shop skin care cosmetics with an extra saving at Veil Cosmetics! Get up to 50% off Accessories. Works sitewide. Get 15% off purchases when you use this promo code at Koh Gen Do. Cosmetics and skincare products from Japan. Works sitewide. Copy this promo code to enjoy 10% off your first purchase at COS BAR. Activate extra savings on your cosmetic purchases for a limited time only! Get Free 2 Samples of Choice w/ any order at Charlotte Tilbury. Get Free Shipping on any order when you redeem this promo. Activate savings on your beauty & personal care orders. Works sitewide. Get 15% off Any Stamp + Vink Bundle. Get Everything for $1. Seriously, And They Be Gone in a Flash! Works sitewide. Get 10% off all orders when you enter this promo code. Find the latest verified Thrive Causemetics coupons, discounts, sales, promotions & more. Works sitewide. Get 10% off all orders when you use this code at It Cosmetics. Find the most beautiful side in you. Works sitewide. Get 20% off all orders when you copy this promo code at HipDot. Works sitewide. Reveal this promo code to get 20% off your entire purchase at PYT Beauty. Works sitewide. Get 20% off any order when you copy this promo. Works sitewide. Reveal this promo code to get 15% off your purchases from TatBrow. Activate an extra saving on your brow tint pen purchase! Works sitewide. Activate this coupon code to get 15% off your entire purchase at EDDIE FUNKHOUSER. Works sitewide. Get 20% off on any order when you reveal this promo code at Sweet Sparkle. Works sitewide. Spring Sale: Get 10% off any order when you click this promo code at AEROBLEND. Works sitewide. Get 10% off any order when you paste this promo code at dome BEAUTY. Looking to freshen up your makeup bag with some high-quality cosmetics? Then you need to check out Ulta’s 21 Days of Beauty sale! If you're like us, you have been counting down the days until National Lipstick Day to take advantage of some amazing savings on all of your favorite (and sometimes pricy) brands.